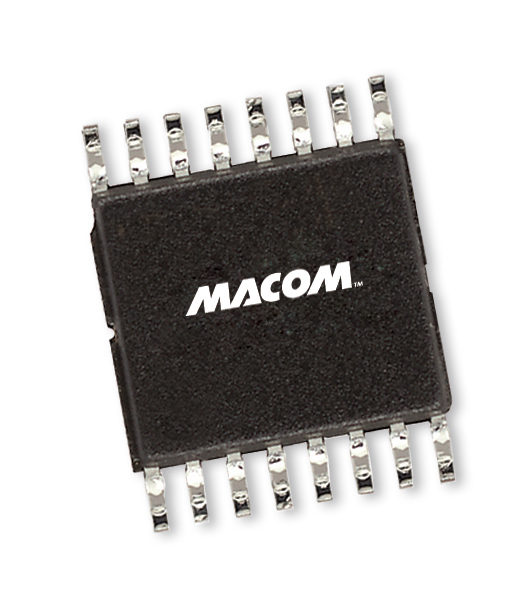 MACOM's MAAD-007084-000100 is a GaAs FET 5-bit digital attenuator with integral TTL driver. Step size is 0.5 dB providing a 15.5 dB total attenuation range. This device is in a SOW-16 plastic surface mount package. The MAAD-007084-000100 is ideally suited for use where accuracy, fast speed, very low power consumption and low costs are required. Tape and Reel, digital Attenuator.